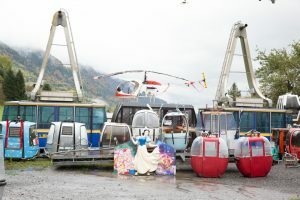 Ever sat on a chair lift or in a gondola and thought “hey this is comfy!” …no probably NOT! 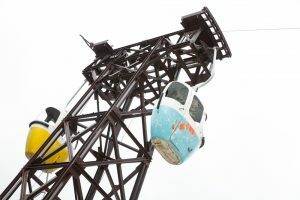 Typically not designed for comfort (especially if you are a snowboarder on a chair lift!) but for safety and speed to get you high up the mountain with as little effort as possible! 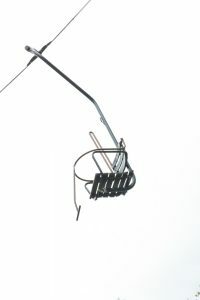 You may however have thought “I wonder what happens to these when they are replaced or break” OR “this would look epic in my garden or home bar”. 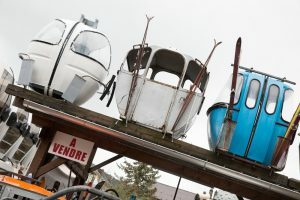 Having sat in Ski bubbles dating back to the 1950’s sipping on an over priced hot chocolate with cream at some fancy mountain top bar in the Alps I have thought – how cool would it be to own one of these! A piece of history and such a talking point when people visit! Maybe even a reminder of an amazing holiday. 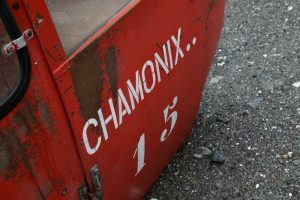 Whilst driving from Morzine to Les Samoëns we literally stumbled on this great little place! 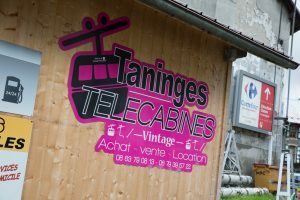 Taninges Telecabines Vintage in Taninges France. This place contains the most eclectic gathering of snow sports hardware (plus other random items) I have ever seen! 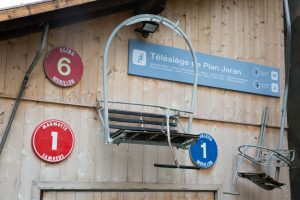 From turn of the century single seater chair lifts to the high speed super telecabines you are sure to find what you are looking for. A savvy buyers paradise or perhaps just an interesting visual spectacle!